COEX InterContinental Seoul's Fusion-Style "Asian Live"
Asian Live is now proud to introduce its new Indian menu by our Indian chef, Mr. Shovan Das who is preparing simple, yet modern Indian dishes at the COEX InterContinental Seoul. Those who love Indian food will be pleased to hear that Mr. Das will be using healthy spices and preparing traditional tandoori and curries for their dining pleasure. Indian cuisine is beloved the world over for its unique taste and Korea is no exception. 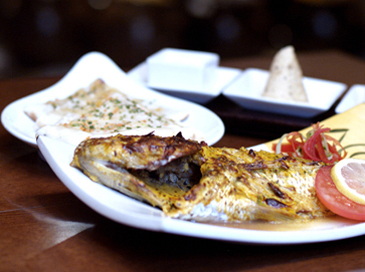 Mr. Das has plans to create tandoori made with fish and seafood, spiced lamb, and healthy curries. Of note is that the tandoori will feature whole baby seabream marinated with yoghurt then tandoori barbequed and barbequed jumbo king prawns on bed of creamy spinach sauce. This cuisine is popular because it offers a delicious low-fat alternative. In addition, guests will enjoy curry flavored with Indian-style black beans and healthy spices. Another delicacy is Indian-style dumplings filled with potato and cashews.